1) So what was the motivation for starting NameStat ? Andy – I’d been following the domainer blogs for a while and the increasing debate on the new TLDs. Words are a passion of mine and I realised that internet naming was about to go through a revolution. I wanted to be a part of that. I’m working on a naming framework and realised I’d need a platform to explore, develop and receive feedback on those ideas. NameStat was born of a need to understand what was happening and to provide that platform. I’m only part way there, but so far pleased with the results. Just need to code faster. 2) Can you tell us a little bit about your background ? Andy – I enjoy programming and released my first shareware (remember that?) in 1998, a 3D desktop launcher which sold a phenomenal 20 copies. Two years later I’d made enough to pay the monthly mortgage, just, but then along came the children and my internet dominance days were over. Now our main income is from an ecommerce site I run with my wife, selling homeware in the UK. We’ve been operating about 5 years, are probably #1 or #2 in our niche and last year emptied the house of stock and moved to a warehouse. I design and run the site but my wife does all the hard work.. dealing with customers! 3) How Many Domains and in what extensions do you currently own ? Andy – I have a small portfolio of around 100 mostly com/net/org and a few .co.uk and .me’s. I dropped about 25% in the last year to release some cash in readiness for the new gtlds, some not even worth the characters they were displayed in. I’ve never sat down and deliberately bought a domain with a goal to sell. In the past I’d buy impulsively in response to an idea for a site. Then as the idea became more concrete I’d narrow down to the ideal name (and probably reg a few more in the process!). By the end I’d have more than a few names on a similar theme but only one that I’m really interested in – I admit not a clever technique for buying domains! But that was the old way, the new domans have changed all that, for me at least. 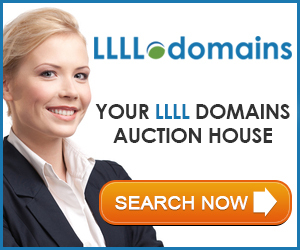 4) Are you planning on putting your own money into new gtld registrations ? Andy – Yes, it would be foolish (and not great business sense) to not take part at all, but equally foolish to go all-in and lose it all (and your shirt). I have only a modest budget so have to pick and choose. I’ve registered about a dozen so far, all bought in Early Access or Pre-reg in areas I know or care about such as .bike, .kitchen or .photography. Most I have a solid idea for and time permitting will start to develop early next year. I don’t think all the extensions will succeed or all registrations turn a profit, but a few very good names over the long term seems sensible. 5) Where do you see the new gtlds as a whole in 3 to 5 years from now ? Andy – A whole lot less chaotic for a start! I’m relatively new to this industry so won’t stick my neck out but it seems the industry as it is structured now is not best suited to this new TLD landscape. What with registries feeding registrars feeding consumers – some registries have many products, others only one. I’d like to think the market will have consolidated, more mature, open and easy to access. Consumers will be much more aware of registries as brands in themselves. Big brand TLDs will be everywhere. This entry was posted in - Interviews by Raymond Hackney.Bookmark the permalink.